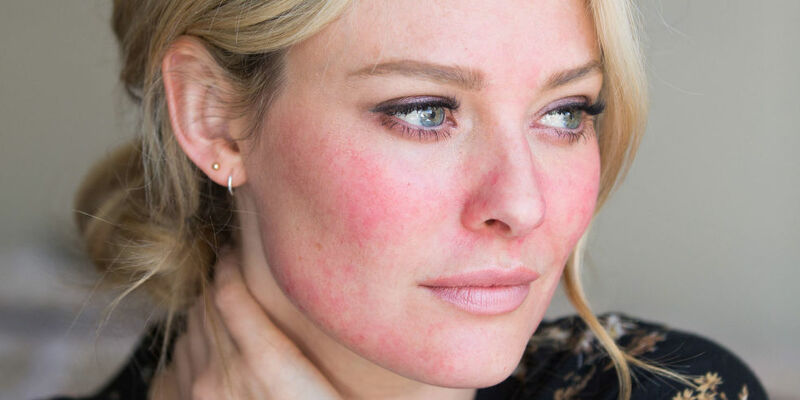 Are you wondering that what can cause Rosacea? Then, before that let us few brief information about this skin disease. Rosacea is a very common skin problem which generally starts with the tendency to flush or blush very easily in comparison to the other people. This is an inflammatory skin problem which is more common in fair-skinned individuals. This blush or flush can slowly spread beyond the cheeks and the nose to the chin and the forehead. It can even spread to the chest, the back and the ears with the entire face being red almost all the time. The causes of this problem have not been fully understood till date and there is even no cure for this condition. However, there are a number of methods that can be used for relieving the symptoms of this skin condition. So, What Can Cause Rosacea? The people who have skin with very light color are at an increased risk of developing Rosacea in comparison to the people with dark skin. This is a microscopic mote that lives on the human skin and generally does not cause any problem. Nevertheless, the patients of Rosacea generally have high numbers of these microscopic mites in comparison to the others. the overpopulation of these mites can result in Rosacea in the light-skinned people. Experts are of the view that the abnormalities of the blood vessels of the face might be one of the major contributing factors for Rosacea. 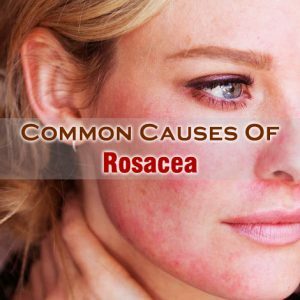 These abnormalities are usually the causes of a number of Rosacea symptoms like visible blood vessels, flushing and persistent redness. It has been evaluated through research that external triggers like spicy food, ultra violet rays of the sun or UV light, stress, exercise, alcohol and cold and heat can result in the activation of some molecules within the human skin and these are called peptides. The increased levels of skin peptides can affect the neurovascular system and immune system of skin resulting in Rosacea. Sometimes, genetics can also be the major causes of Rosacea but there are no studies confirming particularly which genes result in this condition.